In February both my Mother-in-law and aunt-in-law had birthdays. We weren’t quite sure what to get them. We decided instead to treat them to a day trip. 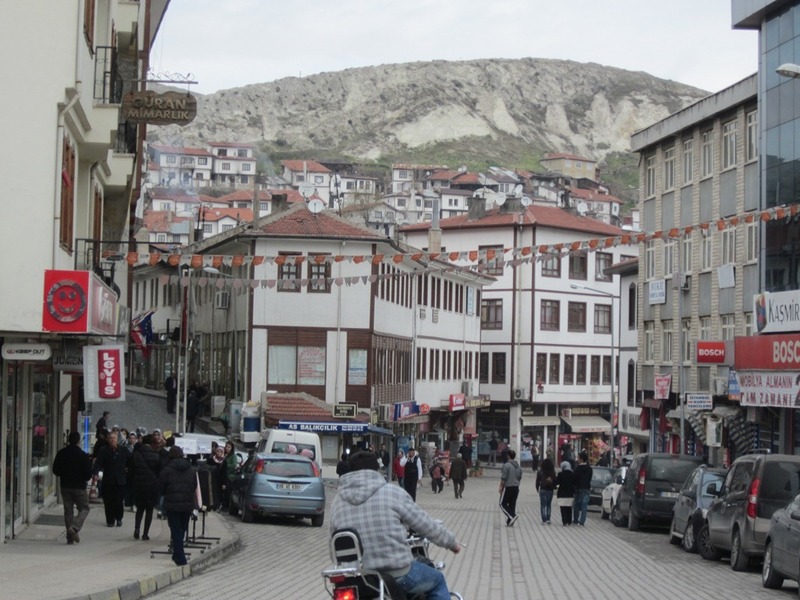 Beypazarı is about an hour from Ankara towards Istanbul. The city known for several things. It produces 60 % of Turkey’s carrots, has beautifully restored Ottoman houses, and the renowned 80 layer (it is normally 40) baklava. 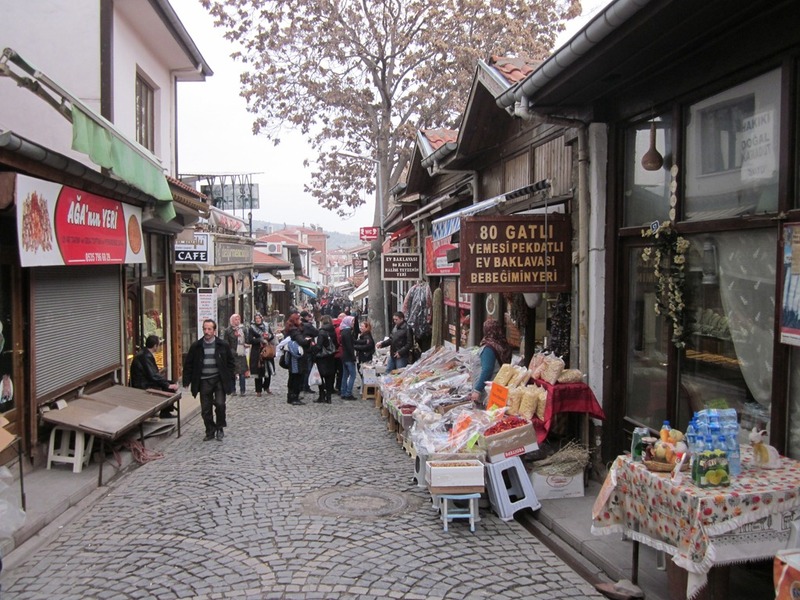 The pazar in town was lovely with lots of dried herbs and spices. There were also beautifully handmade soaps and lots of carrot products. There was carrot juice, carrot jam, carrot lokum. The history the city is very rich as it was a stop on the silk road between Istanbul and Baghdad. 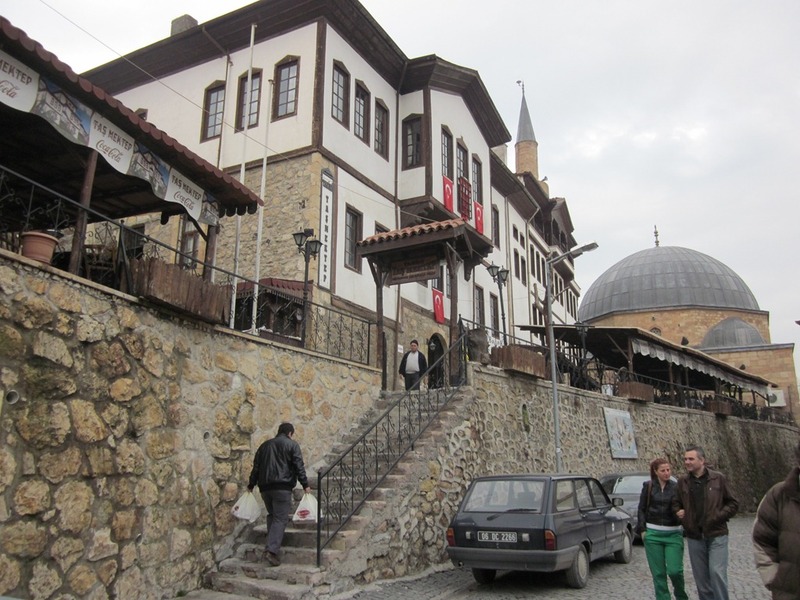 While there we went to Tarihi Taş Mektep, a historical restaurant with traditional Beypazarı foods. This includes very tasty tarhana soup, a special type of sarma, a very delicious and rich guveç ( a meat and rice stew) and an 80 layer baklava. I tasted everything but the baklava which contained walnuts, and it was fabulous. It was a lovely trip and both Bulent’s mother and aunt really appreciated the trip. We might be going back in the future just for that rich, lamby, delicious guveç. I may have been have been tempted to lick the clay pot it came in. 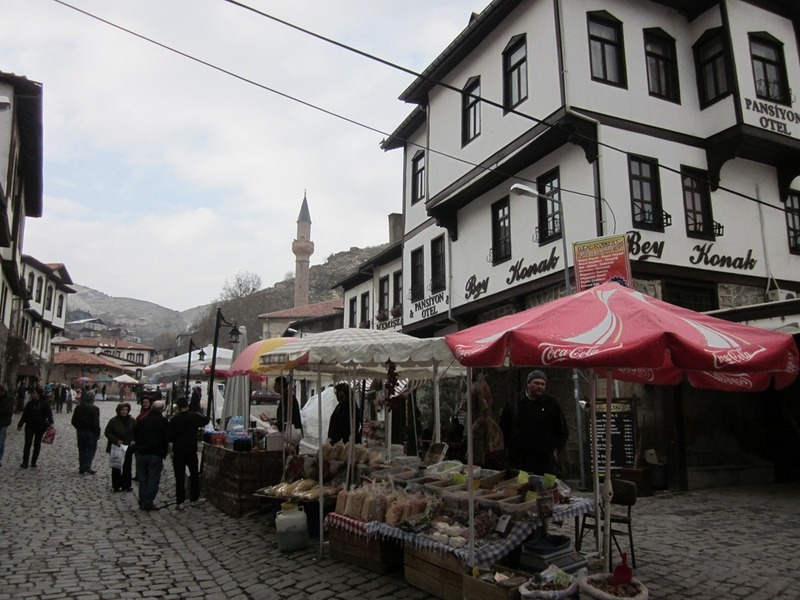 This entry was posted in Beypazari, Food, Travel, Turkey and tagged Expat, MIL, Turkey, Turkish by Jules. Bookmark the permalink. Thanks Mom! Suzan and Firuzan were really pleased. Thanks, it was a lovely town. Lovely shots! When we went to Beypazari, I just assumed we were going to see the bottling of the mineral water. Never saw it. I guess it is colse by. I was happily surprised with the village – mineral water or not!